The World Bank Group Youth Summit 2014 will be held under the theme ''The Need for Open & Responsive Governments'' on October 7, 2014 at the World Bank Group Headquarters in Washington DC, USA. The World Bank Group Youth Summit 2014 is open to everyone who are interested in this year's theme of Open & Responsive Governments. However, due to space limitations and in the interest of maximizing the impact of the event, we encourage everyone to submit their information and motivation for attending the event in the application form below. Selected participants will be notified as soon as decisions are made by the Youth Summit Organizing Committee (YSOC). With this in mind, the Youth Summit 2014 aims to convene young civil society and NGO leaders, students, government officials, technical experts and practitioners to focus on how we, the youth, can help governments become more open and responsive. The sub-themes of the Summit will focus specifically on transparency, accountability and collaboration, measures understood to end corruption and promote open and responsive governments. To achieve this goal, the one-day Summit will be composed of high-level plenary discussions and targeted workshops. The Summit is envisioned to be engaging and innovative in leveraging the experience and expertise of participants, speakers, and workshop facilitators in an interactive setting. For this reason, this year’s Summit will crowdsource workshop session proposals whereby organizations from around the world working on governance, anti-corruption, and other related fields are welcome to submit a proposal. Established in 2013, the Youth Summit serves as a platform for conversation and action to make the World Bank Group more relevant to the global youth and to better involve young people in the work of the World Bank Group. The Youth Summit Organizing Committee is comprised of young World Bank Group employees and is supported by World Bank Group senior management. 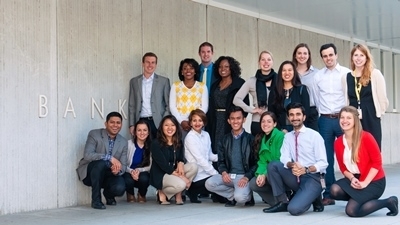 The first Youth Summit was held in October 2013 and emphasized youth entrepreneurship, revitalizing a new chapter of World Bank Group involvement and engagement with a dynamic generation of young entrepreneurs, activists, development professionals, and others interested in global youth-related issues. It convened over seven hundred people and provided an opportunity for youth around the world to submit solutions to challenges faced by international organizations. Building on the accomplishments from last fall and responding to the overwhelmingly positive feedback received after the event, it was decided the Youth Summit would be hosted on an annual basis. The agenda, speakers, and other content for the Youth Summit 2014 will be uploaded as soon as they are available. Please check back on this page regularly. Please note that due to the grassroots nature of this initiative, we are unable, at this time, to provide financial support towards travel and accommodation. However, there will be alternate ways to take part in the event virtually. Information on how to participate virtually will be updated shortly. We look forward to your participation in the Youth Summit 2014!